Can you feel that? Autumn is here. I love when the temperatures cool down & I get a chance to inhale the brisk, fresh air. It's cleansing. I love the early morning frost on the windshield. I love the way the leaves leap from their branches, dancing their way through the wind & onto the ground. Ever since quitting my job in June, I've been able to spend more time doing the things I enjoy. There are more nature walks. I spend time discovering hidden gems, like the secret swing by the creek. It's the perfect place to surround yourself in peace. You can get some good thinking done there. I'm finding myself again. 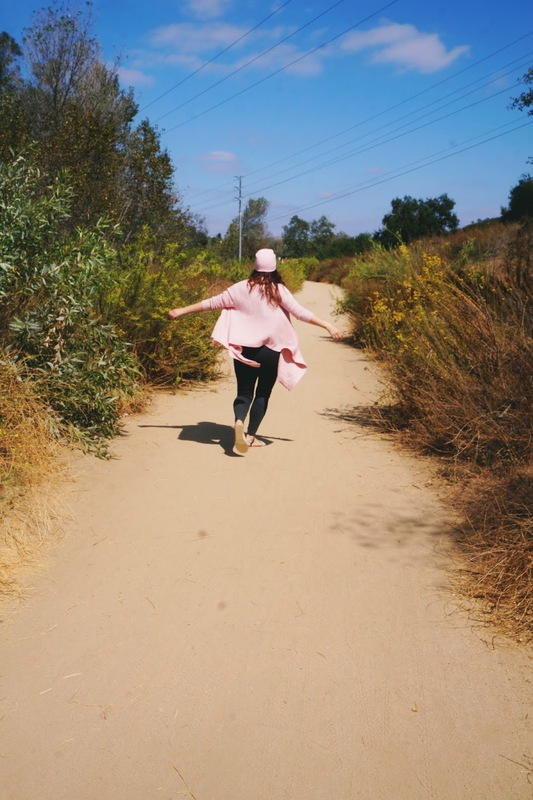 Whether it was going to school, searching for a job, working my way up in my career, crafting my blog & coaching business, I kind of got lost in the shuffle. There's always a new app to check out, a new product launching or an algorithm change to consider. Lately, I find myself heading back to nature as a way to disconnect. I do my best thinking there, my best strategizing. The bustling bees or leaping leaves create an encouraging white noise to keep my mind at ease. The birds chirp & the occasional butterfly bounces by. The leaves feel crisp beneath my every step. 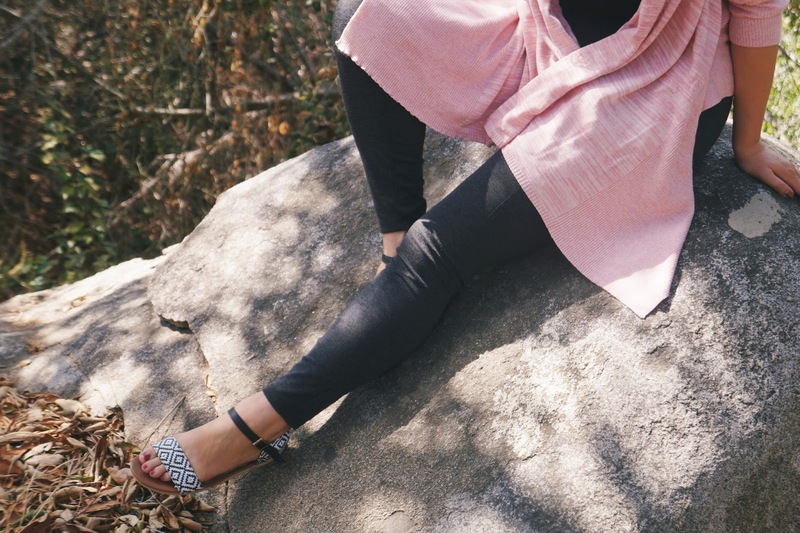 I breathe it all in as I tuck my prAna Loveland Wrap around me, made from 100% organic cotton with an asymmetrical hem. Wraps are great for traveling, especially for those long-haul flights. I wore a wrap practically the entire time I was in Paris! Another travel blogger favorite? A good legging. 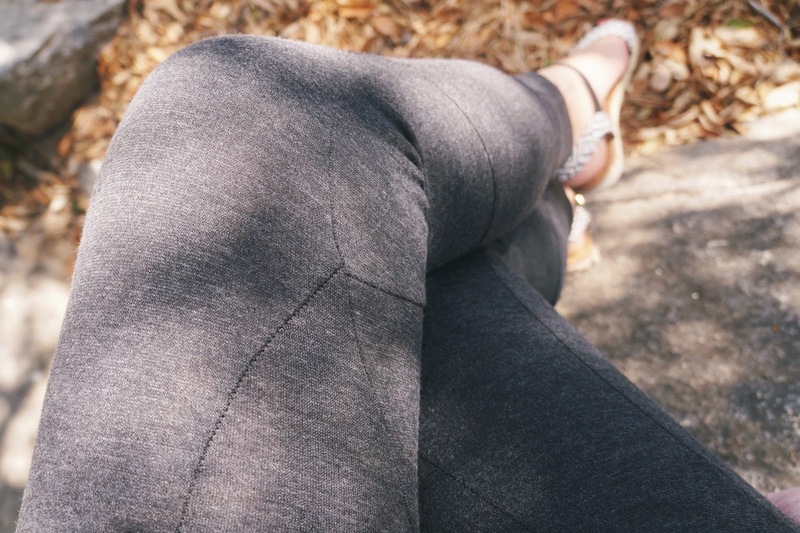 These Moto Leggings in Charcoal are classic! 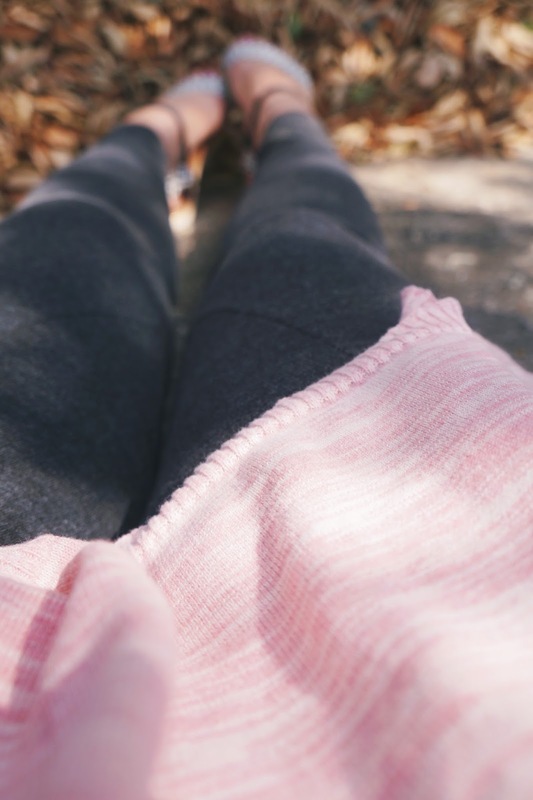 Leggings are a staple for my home attire, when I'm traveling, & even when I'm exploring. prAna offers sustainable, recycled, fair trade certified & hemp items that are versatile enough for any lifestyle or adventure. prAna's one core belief is to give back more than we take from the world, & I really love that. Watch this video to learn more about the sustainable clothing movement. Nature is important! I'm happy to wear my prAna gear because I know it's made to last & it's made with care. Autumn is the perfect time to do clear your mind with its magical color-changing leaves & moments of serenity. When's the last time you stepped outside to take a breather? Get 15% off your prAna purchase when you use code: F17CGCV. I was selected for this opportunity as a member of CLEVER & the content & opinions expressed here are all my own. This looks amazing. Definitely checking this out! That wrap is such a pretty colour and I am loving your sandals too! It has been a long while. I am in desperate need of a long nature weekend to chill, recharge my batteries and just enjoy you know...loving the outfit. I love this look! Great transition outfit. Really love the pink look since it has been such a major color lately. This looks so cozy and I love all the photos! Good for you for having more time for yourself, amazing and it makes me envious of that time! I am very lucky to have a flexible job that gives me a lot of time off though! I've never heard of prAna before but that sweater looks so comfortable and cute! Thanks for sharing about them! 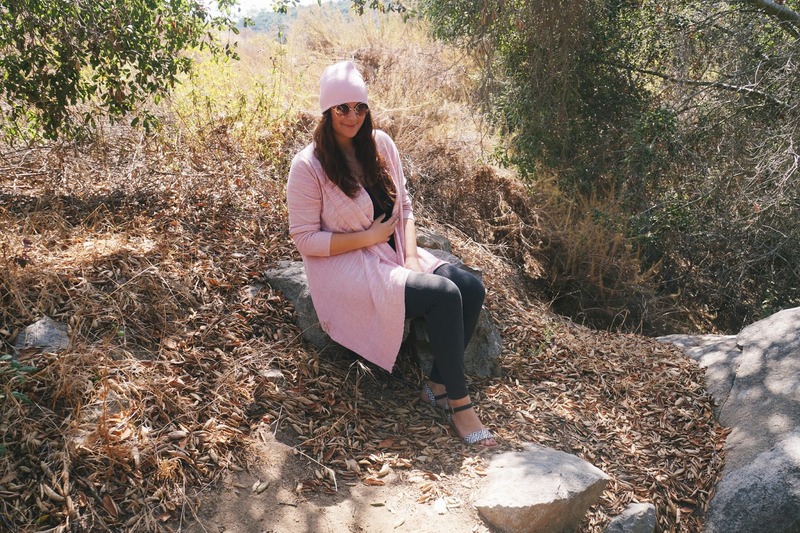 this outfit looks so comfy, love the pink cardigan! You look so beautiful! Cool, comfortable and cozy! Ahhhh... Legging and soft cozy sweaters. What more could you ask for?? Absolutely love prAna clothing. And fall... Well, can't get enough of that either! That pink color looks so good on you! Looking gorgeous girl!! That cardi is so pretty! Love the pink!!! 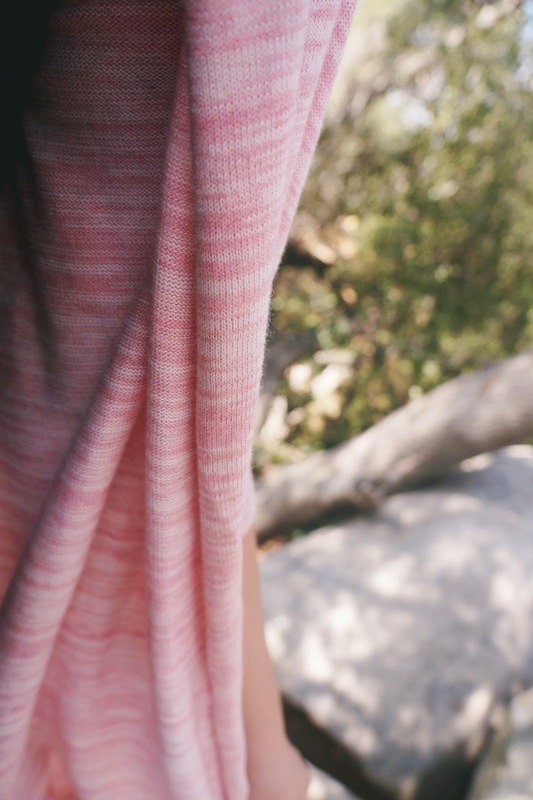 love the pink sweater, it looks so comfy! Thank you Ashley! You're so sweet.